Quickest, wreath anyone could ever make! 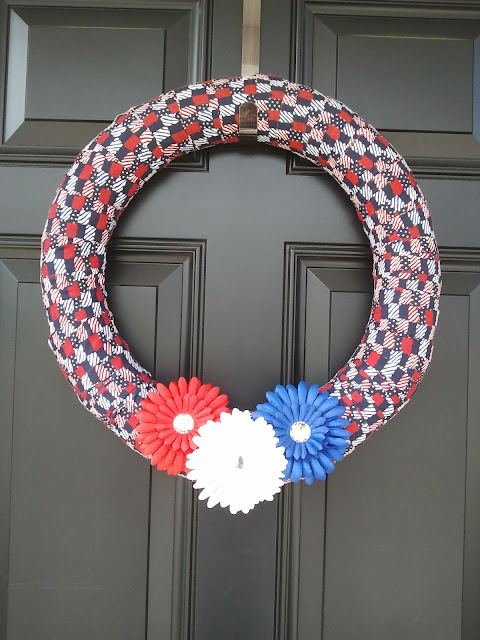 Straw wrapped wreath frame from Michael's wrapped with 4'' wide strips of patriotic fabric. $1 flowers and voila! Note: I left the plastic wrap on the wreath so straw didn't go everywhere. Hot glue works wonders! Moving Into Our New House!! 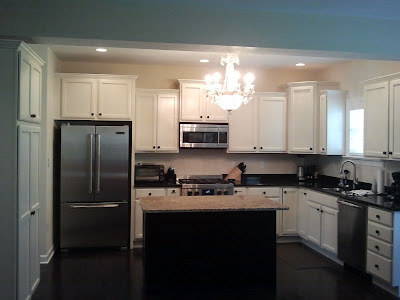 After 7 long months of waiting, our new house is finally finished! 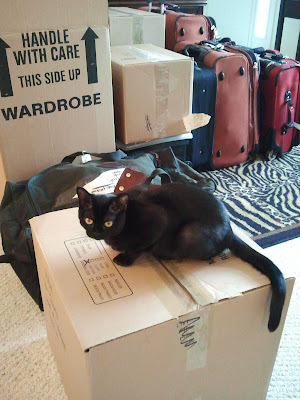 Sharing some pics of packing and moving in! Needless to say, I had a very curious helper named 'Tino!